Elizabeth Minchilli is a woman after our own hearts. A tried–and–true anchovy lover. We couldn’t be any more pleased that she has decided to go on an anchovy spree; just last week she delighted us with her Potato an Salted Anchovy Salad, and this week we have the fantastic recipe for her Pasta with Zucchini and Colatura. 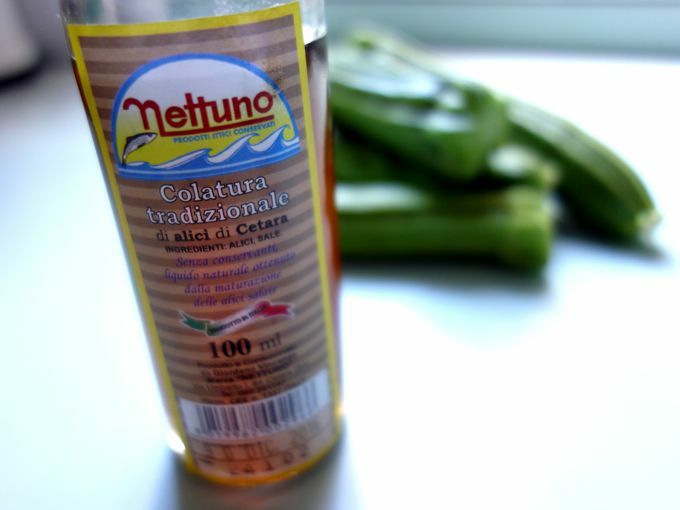 “Colatura is a magic, ancient, ingredient that comes from the Amalfi Coast. Said to be the descendant of the ancient Roman’s garum, colatura is the liquid that is given off while anchovies are being salted in barrels. Similar to Asian fish sauce, but with a much purer, anchovy taste (in my opinion). Bravissima Elizabeth! Thank you for spreading the anchovy love!